Screenplay: Ben Stiller, Justin Theroux. 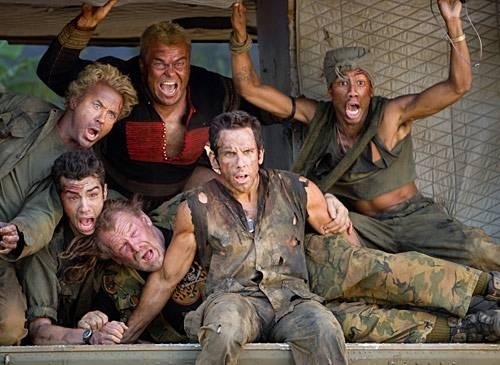 Starring: Ben Stiller, Robert Downey, Jr, Jack Black, Nick Nolte, Steve Coogan, Jay Baruchel, Danny McBride, Bill Hader, Toby Maguire, Matthew McConaughey, Tom Cruise. Ben Stiller is on familiar ground with this, in covering the egotistical world of celebrities. He had a go at the fashion models in “Zoolander” and now he has a go at the movie stars in this. Both have similiar results and unfortunately these results are poor. The story is also on familiar ground and was covered 20 years previously in “Three Amigos”. It follows a crew of over paid movies stars who, while filming (in this case a vietnam war film) find themselves involved in a real hostile environment against real enemies. All the while they are oblivious and think it’s part of the script and manage to stay in character throughout, despite real bullets and explosions all around them. Stiller has always been a likable, if not entirely hilarious comedic actor. His talents seem to be better served in playing the goofballs (“Something About Mary”, “Meet The Parents”) rather than writing or directing them. Unfortunately, he is doing all three in this film and doesn’t achieve anything in either role. Instead the plaudits (surprisingly) go to the more serious actors in Tom Cruise and the Oscar nominated Robert Downey, Jr. They are both wildly over the top, adding some much needed fun to this film, which it doesn’t really deserve. Jack Black is as irritating as ever and has nothing to do but be Jack Black and when he’s got nothing to do, he’s even more unbearably irritating. I can’t fathom why Matthew McConaughey and Nick Nolte got involved and Steve Coogan should know better. Thankfully though, Cruise and Downey, Jr. are in it for our sake, otherwise this would have been an absolute waste of time. 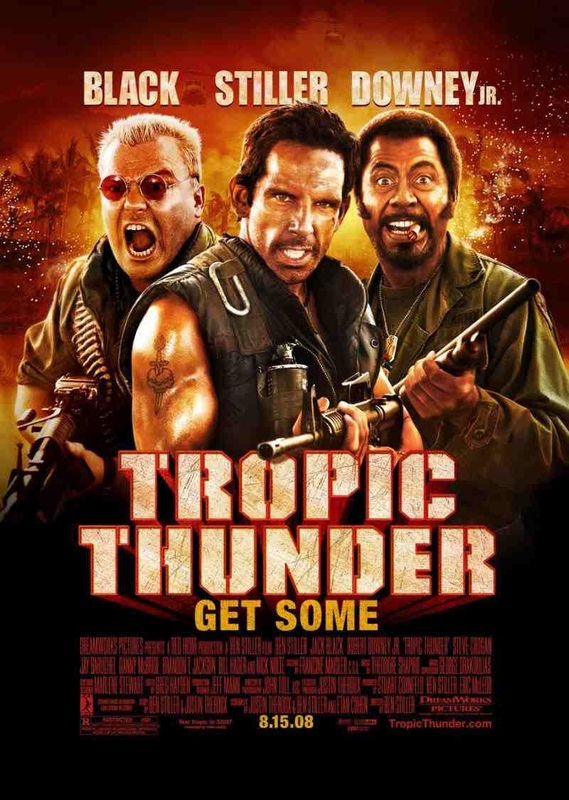 I give this film a star each for both of them but Stiller didn’t merit such commitment and excellent performances in this thunderous stinker. A real waste of talent. This entry was posted on January 13, 2012 at 10:26 pm and is filed under Action, Comedy with tags 2008. You can follow any responses to this entry through the RSS 2.0 feed. You can leave a response, or trackback from your own site.